I have been meaning to write this post for a while now, but I'm glad I put it off until I truly tried and tested these products for a few months before reviewing them. I have an obsession with finding natural and organic products for myself, so I definitely knew I wanted the same for Ava. It's funny because before I became aware of how many chemicals a lot of products contain especially from big brands, I just blindly assumed that these companies would make sure all the ingredients were safe and natural, definitely a wrong assumption! 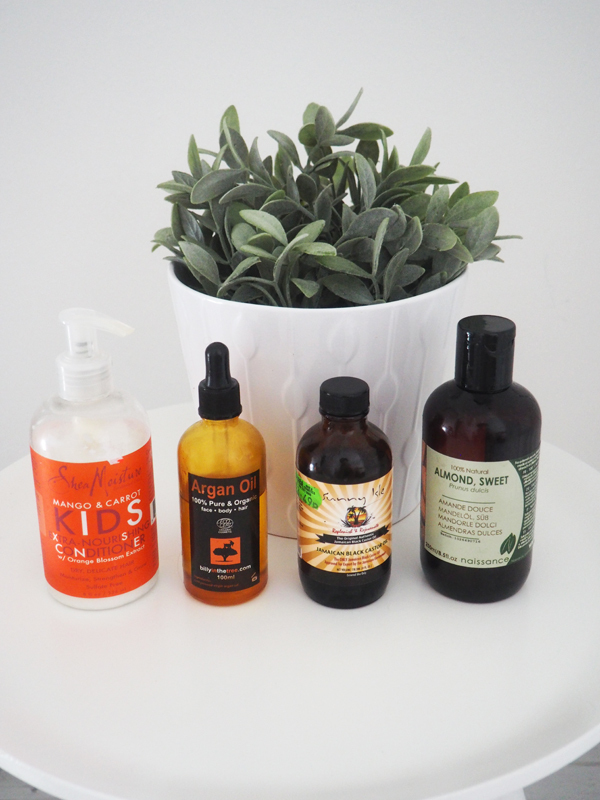 I will be sharing more of the natural products I enjoy here on the blog so keep an eye out. Weleda Shampoo and Body Wash - This was the first body wash I used on Ava, it has a creamy consistency, it doesn't have a strong scent if any and only lathers up slightly. The main ingredients are Calendula and Almond oil. I used this for a couple of months on Ava and for the price you get a lot of use out of it. I still use this now, but I wanted to try out some other options. 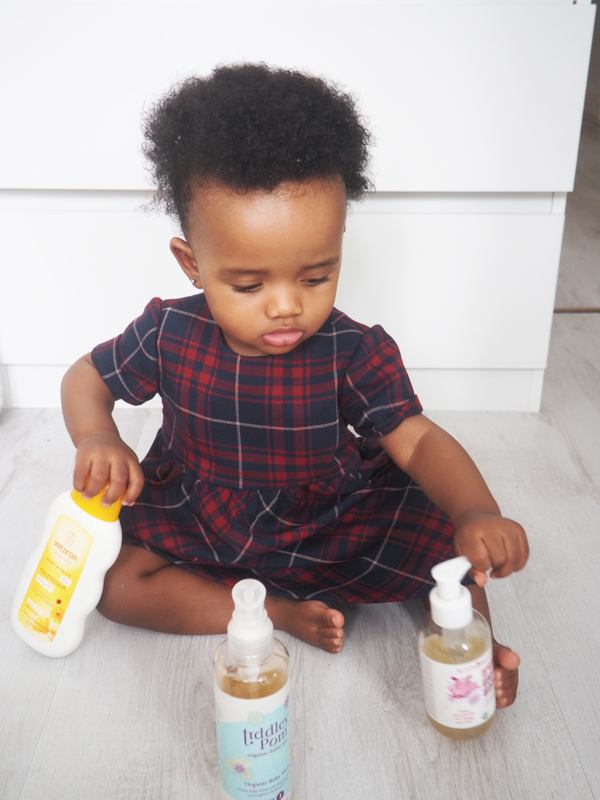 Tiddley Pom Organic Baby Wash - This baby wash is my favourite! and its organic. I love that this wash lathers up more. It has a lovely mild flowery smell and the main ingredients are chamomile and aloe vera. Atelya Organics - This is another 100% organic wash, it smells lovely and lathers up well. I did like this body wash but it does leave Ava's skin a bit dry so I won't be buying this again for Ava after its finished. Kokoso Coconut Oil - Coconut oil is everything! it's an all purpose oil, I use it as my moisturiser, on my hair and as a cooking oil. It was a no brainer to use it on Ava too. When she was a newborn up until about 6 months old I only used coconut oil on Ava's skin and hair. I believe the less ingredients you use on a babies delicate new skin the better. I also use coconut oil on her instead of nappy cream or baby powder. Coconut oil acts as a barrier and prevents irritation, I believe this is the reason why Ava has never had a rash. I will always use coconut oil on Ava like I have done on myself for the last four years. The Kokoso brand pictured above is great, but it finished very quickly. We now use the same coconut oil I use for myself from Holland and Barretts, the jar is much bigger and if you buy it when Holland and Barretts are doing buy one and get one for a penny, you get a whole jar for free! Weleda Baby Oil - As I mentioned above, coconut oil is bae! it will always be a staple. but as I really loved Weleda's baby wash so I wanted to give their oil a try. It's a great alternative oil which contains calendula. It's also 100% organic which is not easy to find in natural products. This oil also gives Ava's hair a lovely shine. I will definitely keep this in my arsenal of products too. Shea Moisture Mango and Carrot Conditioner - From newborn to 6 months old I only used the two body washes mentioned above on Ava. At around 6 months when her hair started growing a lot more in length and thickness so she needed a more moisturising product. I already use Shea Moisture myself, their a great natural brand. The mango and carrot conditioner is super moisturising and smells amazing. I leave this in Ava's hair whilst she's bathing to give her a mini deep conditioner. I also added the shampoo from the same range at around 8 months old. I love to use Almond oil and Argan oil to add shine to Ava's hair, When she was born I only used a bit of oil on her hair. Now she's almost one I will be adding hair cream from the Shea Moisture range to her routine. I also sometimes use the Jamaican Castor Oil on a small patch that Ava has where the hair is growing a bit slower then the rest of her hair. It's great for hair growth and I have seen a bit of growth there from using it. For nappies and wipes I love to use Water Wipes, it's a chemical free brand which only contains purified water and fruit extracts. 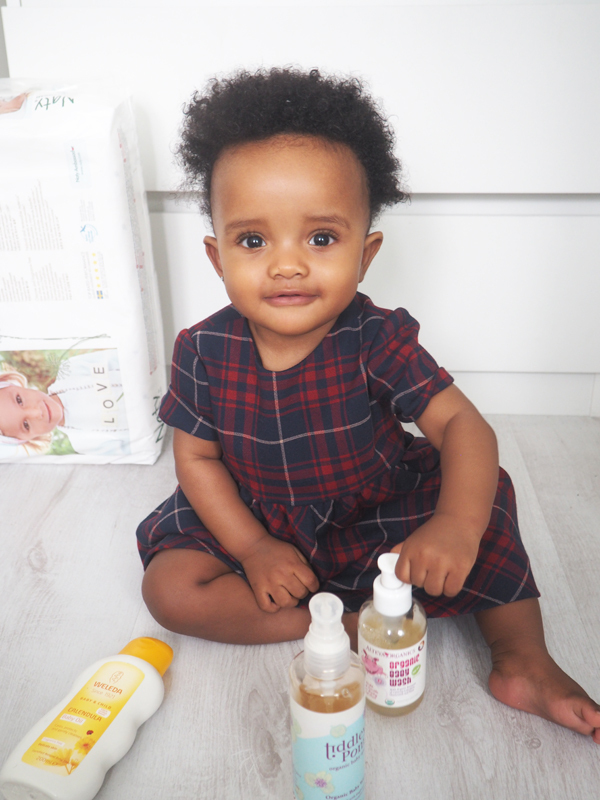 It's important to use pure products to prevent nappy rashes, especially avoiding wipes that contain fragrances. I use Naty by Nature Nappies which is made from natural and renewable materials, is chlorine free and fragrance free. They fit great and I have never experienced any leakages. I love all these products and will definitely continue using them. So far Ava has irritation free skin and I think all these natural products have contributed to this.